While week 19 started slowly it certainly finished in fine style, with 16 fish in total landed. This was primarily due to the expertise of the Sutherland party, which included Angus Sutherland, Denis Daly, David Felton, Jimmy Keogh, Billy Marshall and Ireland’s foremost angling instructor Peter O’Reilly who I’m delighted to say actually got a chance to fish himself, which doesn’t happen that often here. 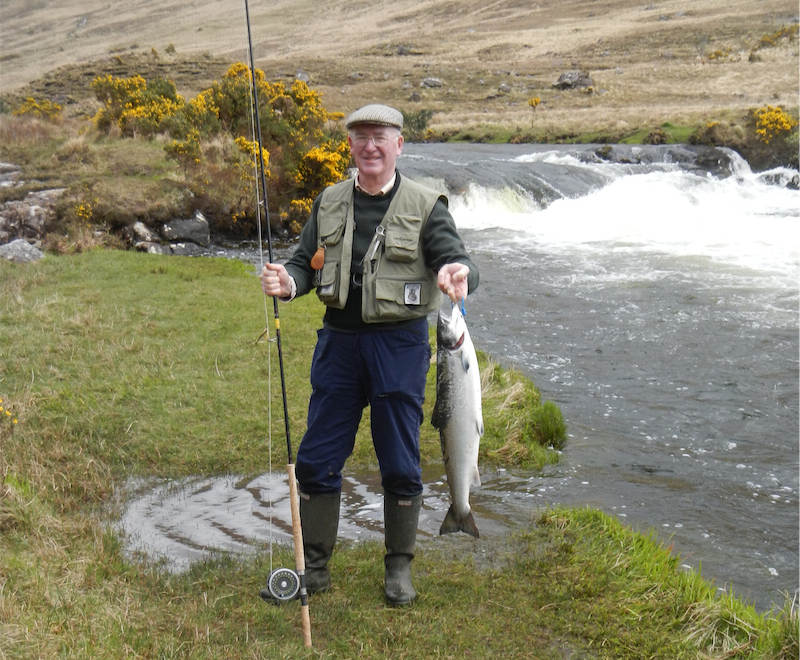 However since my last update Brian McHenry was actually the first on the score sheet, with a sea liced fish of 8lbs7ozs from the Whin pool on a Willie Gunn. The next 10 fish were all taken by the aforementioned Sutherland party, 6 from the river and 4 from Fin. They were taken on Delphi Collie’s, Cascade’s and Red Shrimp’s. They weighed in at 8lbs14ozs, 8lbs1oz, 8lbs10ozs, 7lbs4.5ozs, 9lbs12ozs and approx. 7.5, 5, 7.5, 9.5 and 9.5lbs. Needless to say they were all happy campers. On Saturday we landed 4 fish. Chris Jarman got off to a flying start with a fish of 6lbs12.5ozs from the Rock pool on a conehead Willie Gunn. 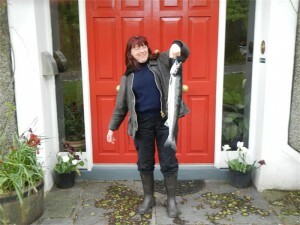 Veronique Guiraud from France then had her first ever salmon, a fish of 7lbs14ozs off Finlough on a Temple Dog. 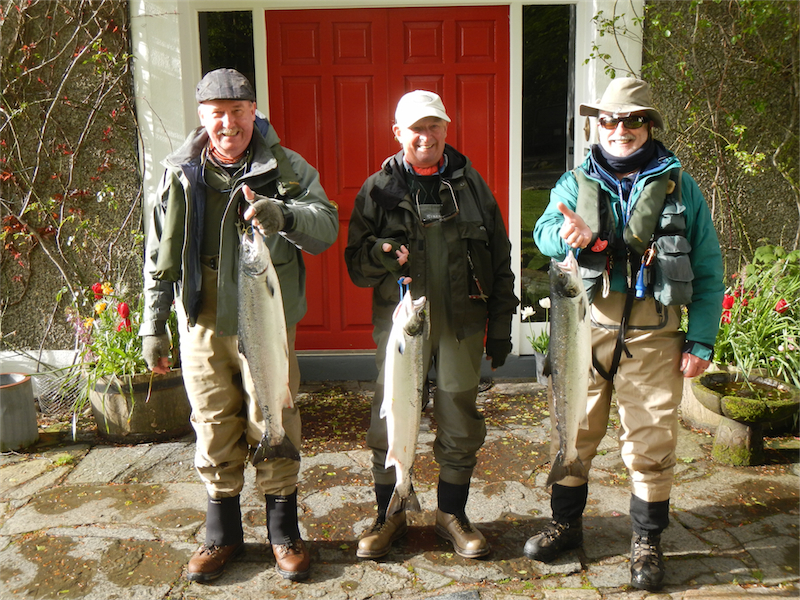 Finally Paul Wymes was back in business with two fish off Finlough, one of 5lbs10.5ozs and the other of 7lbs approx, both taken on a Parke shrimp. Keep tuned to this page as I should have another update tomorrow on the last two days.